Well, last time we saw how racist myths can be kept afloat in videogames, even through anthropomorphic means. This post will be different , but yet the same, in that the central issue uniting all these problematics in these virtual narratives is one that sets that which is white as “default” and admirable. There are myriad videogames one could choose to illustrate any of this. However, I’m going to stick with my experience and what I know. As with the last post, I mentioned playing a lot of Sonic the Hedgehog games, in this post, I’ll feature a game whose narrative had a great impact on me and that I greatly enjoyed – Custom Robo! Yup. 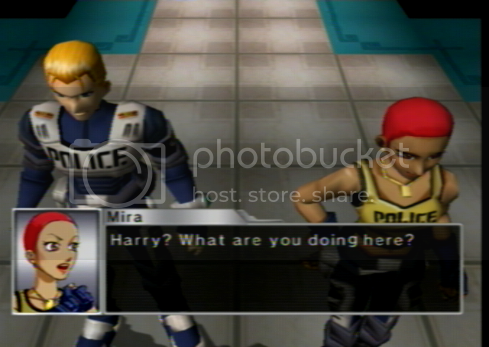 This is Harry (*sigh*..) Now we can go and deliberate all day as to what his race/ethnicity actually is because of his blond hair, but if we’re honest with ourselves, we know the motif of blackness being a side-kick to whiteness- Custom Robo isn’t the only place we see it. 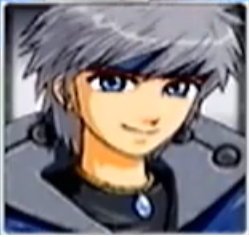 Now, in Custom Robo, he serves as more of a guide/mentor to the hero joining the local Custom Robo mercenary squad. 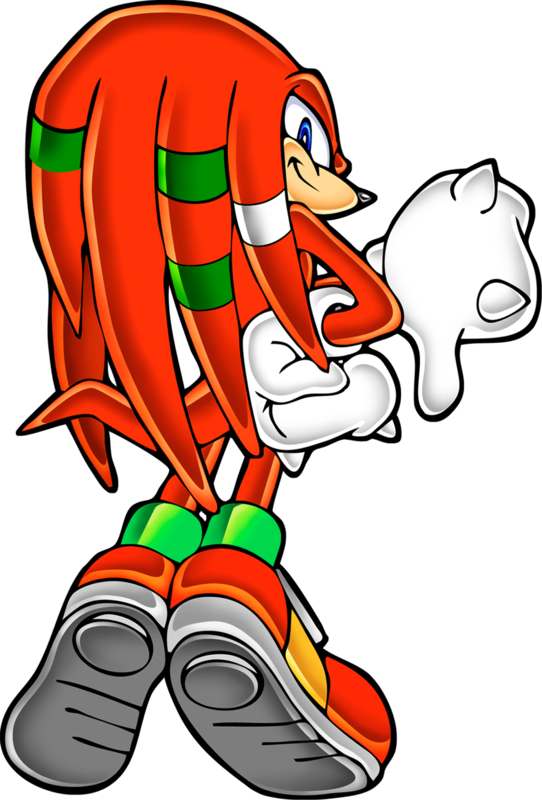 He’s a charismatic, entertaining character to interact with,although he is portrayed as a wily, sloppy, lazy, womanizing guy. You know, like many black man side-kicks we see…. 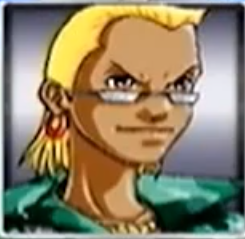 She’s the head commander of the Police Squad in this game and she’s a black female. 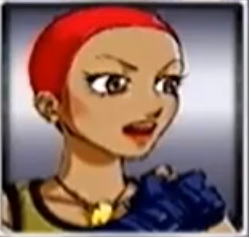 And much like her bro, Harry, she’s got a sweet funky hair color! Anyways, in some ways her character makes me happy- it’s good to see a strong , black female who’s actually reverred and respected in the story. What I don’t like, however, is the message her character sends about black females being perceived as beautiful and objects of male affection- esp. when they have natural hair styles. This entry was posted in Political Jesus and tagged blackness, Blerd, colonialism, gamergate, gaming, Geek, racism, science fiction, technology, videogames, white supremacy on September 18, 2014 by Harry Samuels. Howdy! As promised in my last post on Videogames as Storytelling, this post is going to be a further examination of these intersections. In this installment, I’ll be a bit more specific. So, last post I explained the case for videogames as a mode of narrative and story-telling and how even they can (and often do) take on white supremacist characteristics and reinforce the privileding of whiteness as “default”. Additionally, I mentioned a fancy term , “anthropomorphism” – simply the case of giving -human-like form (upright-walking,bi-pedal, two arms and a head, neck and maybe even clothing) to animals or maybe even objects. My point in the last post, that I hope to make clearer in this post, is that racist, stereotypical tropes can sometimes be “sheathed” in anthropomorphism. Exhibit A? 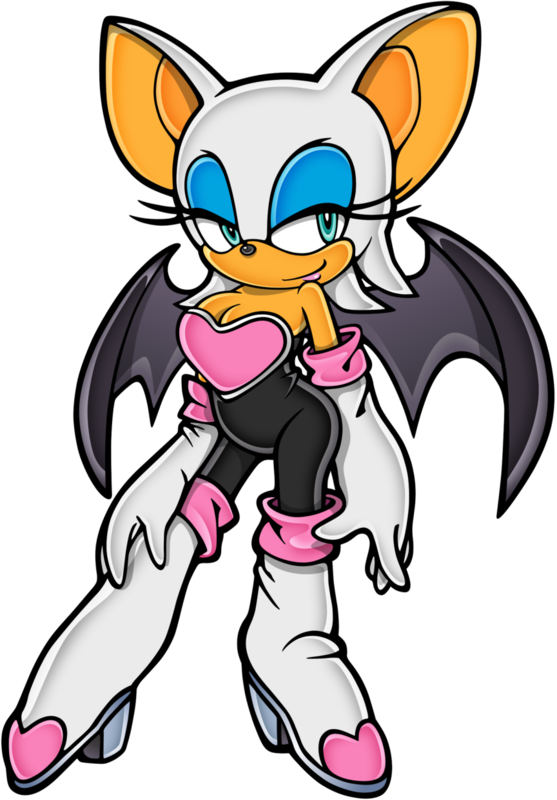 – Sega’s Sonic the Hedgehog franchise. Everyone loves Sega’s blue hedgehog who can zip through levels, through flying through loops and bouncing off of launch pads, to defeat Eggman (Dr. Robotnik) in record speeds! 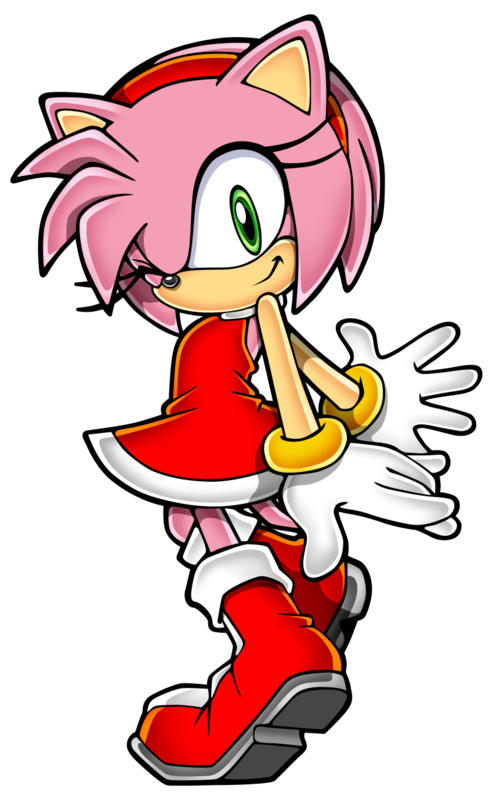 My main interaction with Sonic franchise was through Sega Dreamcast in playing games like Sonic Adventure and Sonic Shuffle (like Sonic’s mario party). I then went on to play Sonic Adventure Battle 2 for GameCube and then Sonic Heroes – two of GC’s most successful titles! A latin, Bossa-jazz style theme typical of what you’d expect from a black/minority female. And listening to the theme’s lyrics sounds like the Jezebel motif is furthered. This entry was posted in Political Jesus and tagged Blerd, gamergate, race relations, racism, science fiction, technology, videogames, white supremacy on September 13, 2014 by Harry Samuels.